Tottenham Hotspurs goalkeeper, Hugo Lloris believes their victory with clean-sheet over Manchester City on Sunday does not mean the team is very defensive. Mauricio Pochettino’s men gave Pep Guardiola his first defeat since his arrival at the Etihad Stadium with a shocking 2-0 win at White Hart Lane stadium on Sunday. They scored two times in the first half through Aleksandar Kolarov’s own goal and another strike by Dele Alli, guaranteeing the victory after the break despite Erik Lamela having a penalty denied from being a goal by City’s new goalkeeper, Claudio Bravo. Lloris supposes the win showcased Tottenham’s qualities at both ends of the pitch, as they maintained a clean sheet after having the perfect defensive record in the top-flight last season. “Last season we were already one of the best defenses in the league so I think it’s one of our basics to be strong at the back,” The France international, Lloris was quoted by Sky Sports. Tottenham drew a second consecutive game in the Premier League as concerns about the team’s energy levels grew even higher. After the game, manager Mauricio Pochettino also claimed that the lack of a recovery times played a major role in the team not performing at its best. The involvement in the Champions League – along with other cup competitions – mean that the manager has had to rotate in order to keep the team fresh. However, he has been unable to rotate in the best possible manner over the last few matches due to injuries to some key players like Harry Kane and Toby Alderweireld. The goalless draw against Bournemouth especially causes concern at White Hart Lane considering that it was the third consecutive draw for the team in all competitions. As expected, the team challenging for the title managed to control the game from start to finish with 58% possession. However, they were unable to get much in terms of opportunities after only managing three shots on target. Spurs have to pick themselves up quickly and focus on the next game against inform Liverpool in the League Cup. 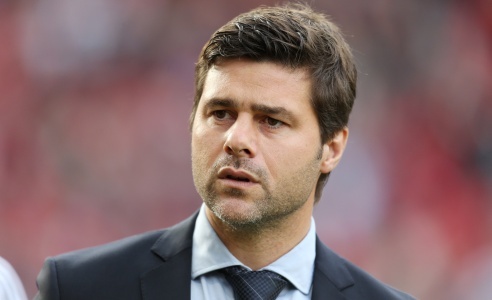 In this position of fixture congestion, Pochettino would actually not mind dropping out of the League Cup in order to concentrate on the Champions League and the league. It left Mauricio Pochettino in a bitter mood that there was not a single person outside the fan-base of Tottenham wanting them to take the Premiership trophy and everybody was just for Leicester to complete a fairy-tale. Pochettino believes the top side is always the one people look to defeat, but, for a change, it’s the no. 2 side which was on the target the previous season. Nobody was after the leaders and that was bizarre. Tottenham chased Leicester to a very long distance and it’s only in the game before their penultimate game, when they had a draw, the title technically became impossible to clinch for them. They were probably not tight enough at crucial times, but, according to Pochettino, he and his boys had loads to learn from it and they would be back only in a stronger capacity in this year’s summer. After having narrowly missed out on the league title, Tottenham have already begun the process of strengthening the squad by bringing in midfielder Victor Wanyama from Southampton. The midfielder, who is extremely well known to manager Mauricio Pochettino, has signed a five-year contract with Spurs after his £ 11 million move to White Hart Lane. The move represents a great business for Spurs considering that he had joined Southampton for just over £ 12 million a couple of years ago. At this price, he represents a great value for money purchase. There might be no scope for the Premiership title, but, what is still keeping the Spurs supporters motivated is the possibility of them leaving behind the bitter rivals Arsenal in the standings after two decades. It has never happened after the 1994-95 season that Tottenham has secured a higher position in the League than Arsenal. But, a win or draw on the Newcastle visit on the last game day will do it for them. Arsenal can, at maximum, stretch their points to 71 which, in case of a draw at St. James Park, would equalize their tally to that of Tottenham. That scenario would work in the favour of Tottenham as in their case the total no. of goals scored exceeds the total no. of goals conceded by 10, while, for Arsenal, it is only plus 1. And, barring an inhumane effort, the Gunners should not cover that margin in one game. Mauricio Pochettino has led Tottenham Hotspur to what has been a memorable season for the English club as they have only lost 4 league matches from their 34 opening games of the campaign and won 19 matches, the only other club in the Premier League that has won more games is Leicester City. Tottenham Hotspurs, currently second in the English Premier League (EPL) are set to have a face-off with the Never Walk Alone crooners, Liverpool. However, the spurs have an injury crisis on their hands. With 61 points from 31 games, the Mauricio Pochettino-led team has done an impressive job and is set to finish in the top four this season. The match against Liverpool at Anfield is a tricky one that could define their EPL title hopes. Leicester city with 66 points from same 31 games lead Tottenham with just five points and 7 games left. The next three games would be crucial in helping either team retain the resolve till the end. Hence, the current injury crisis is a big deal for the Yids. According to reports from FootBall Insiders, prolific spurs centre-back Toby Alderweireld has been ruled out to the sidelines after he pulled out of a Belgium game in the international break against Portugal. He joins the gradually growing list of injured players Spurs are contending with at the moment. Jan Vertonghen and Cameron Carter-Vickers are also out injured. Vertoghen picked up his knee ligament injury around late January while in action against crystal palace. The 28 year old player was hoping to return on the Liverpool match. He has been replaced so far by prolific talent Kevin Wimmer. Wimmer combined well with the recently injured Alderweireld to maintain a solid defense for Spurs. 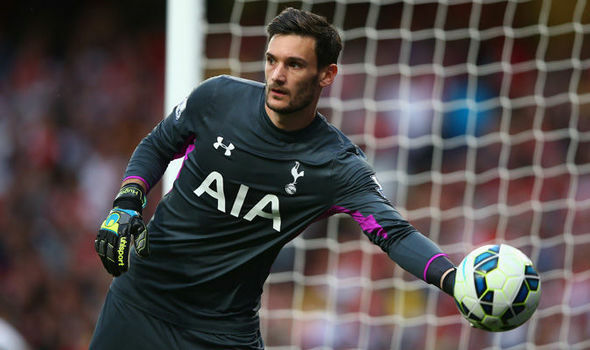 Tottenham goalkeeper Hugo Lloris has recently been linked with moves to Manchester United and Paris St Germain. Both clubs are in the market for a top goalkeeper, of whom there are little in the world. Lloris is one of them and it is almost certain that Spurs will receive an offer for their star goalkeeper from either one of these clubs in the near future. Amongst those transfer rumours, Lloris has admitted that he would like to one day win the Champions League. It almost looks impossible to achieve with Tottenham, who have only qualified for this competition once in their history.